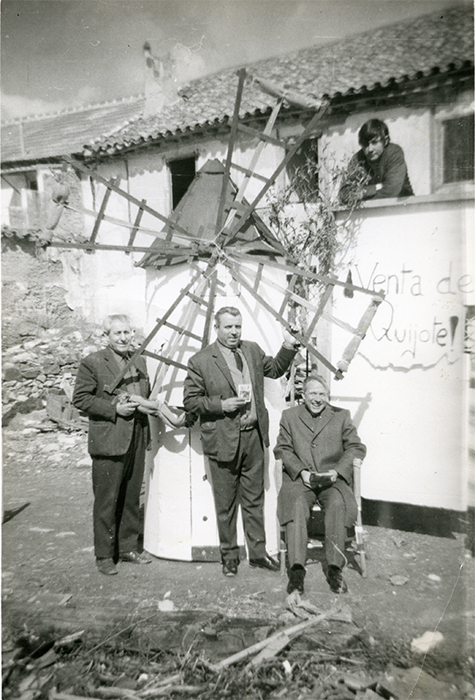 Son of a man from Mahon (Menorca, Balear Isles) and a women from Madrid, Jose Gornés Gómez, was born in Miguelturra in 1908. 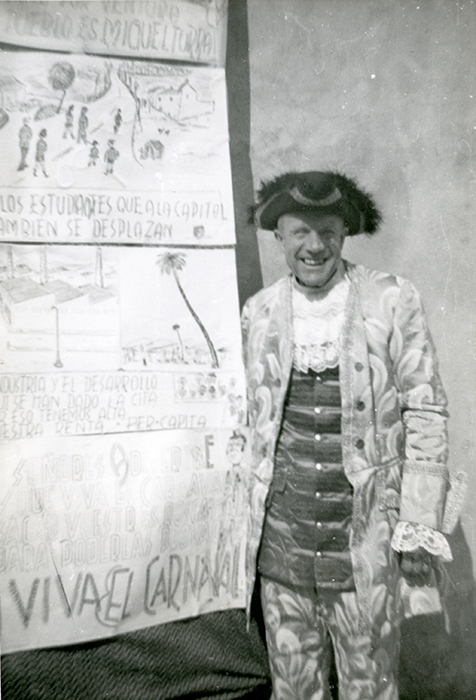 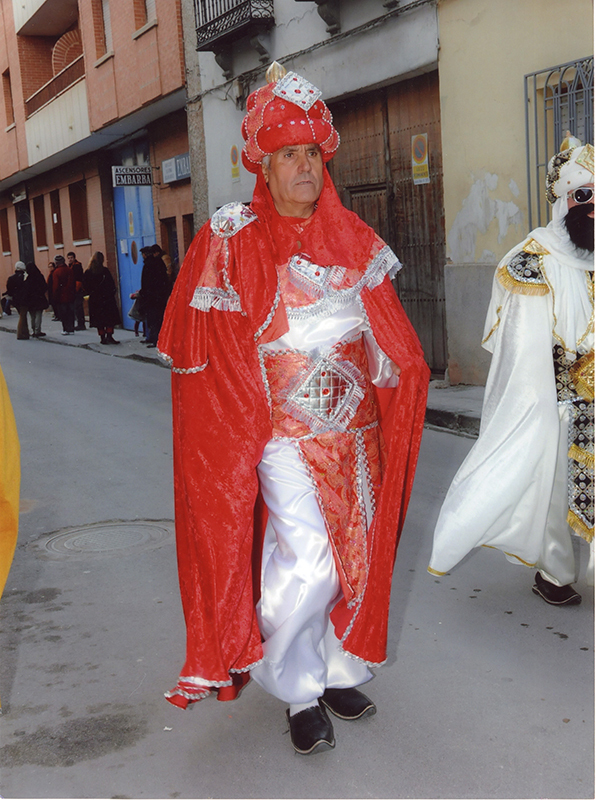 A passionate of ‘churriego’ carnival, who has left us an impressive documentary and photography legacy of this celebration. Belonging to the Peña ‘Viejas Glorias’ founded in 1948, it is one of its founding members. 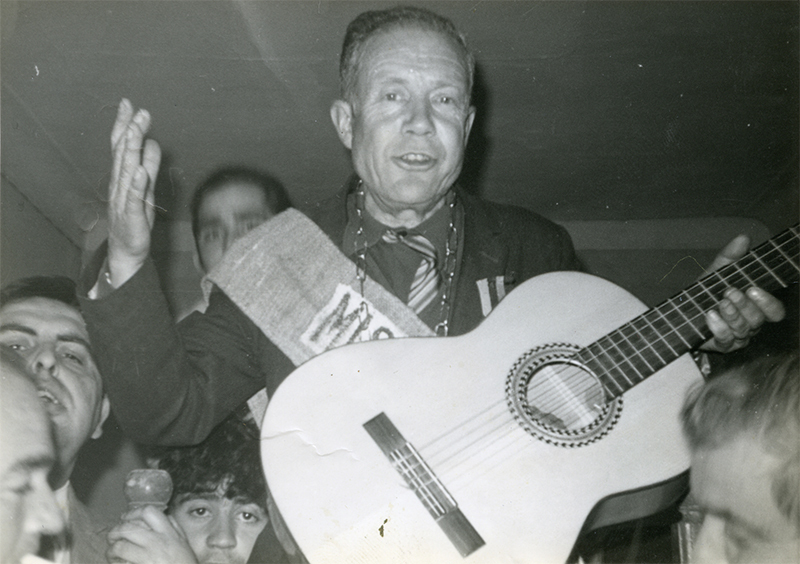 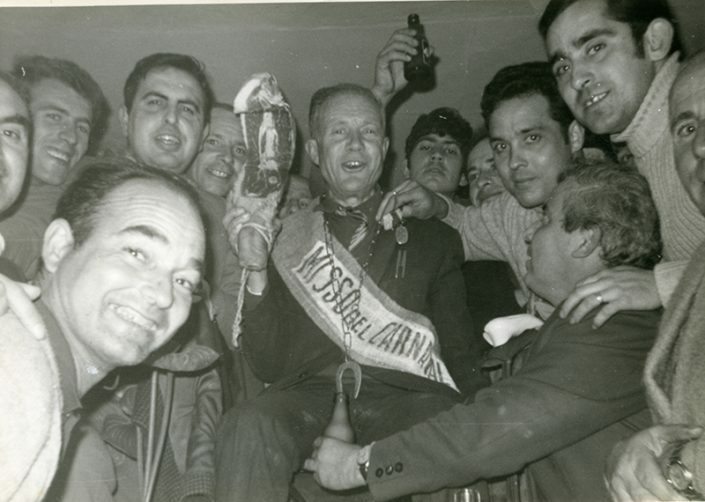 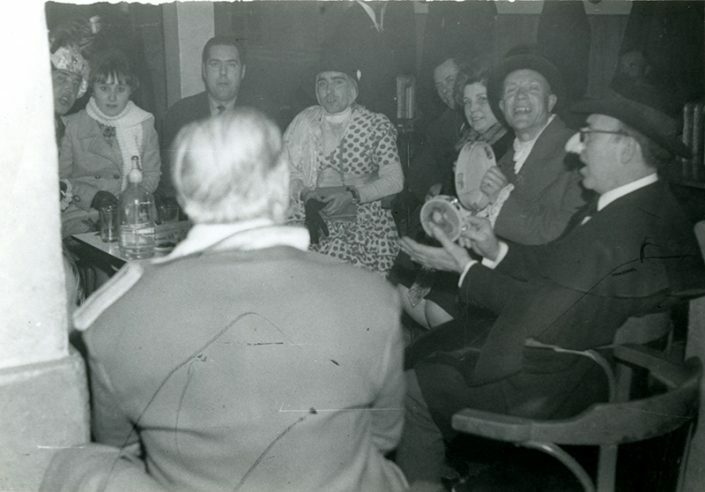 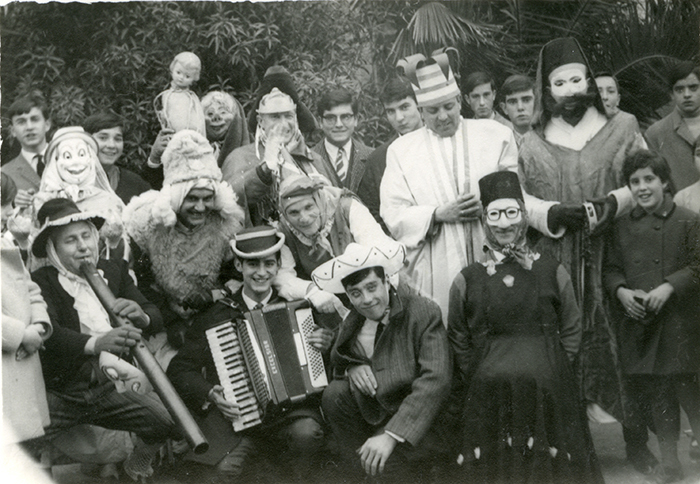 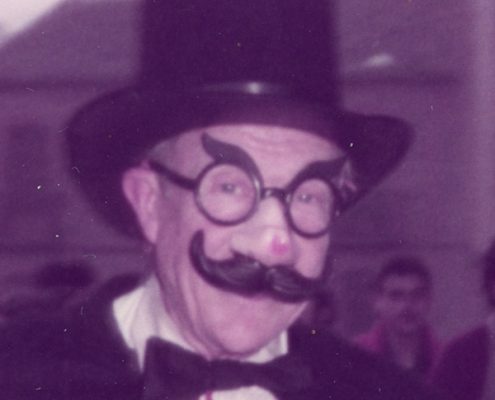 Already in the carnivals of 1971, his companions and friends of peña will called him as ‘MISO’, even addressing him with this name, with its corresponding band accrediting his assigned title. 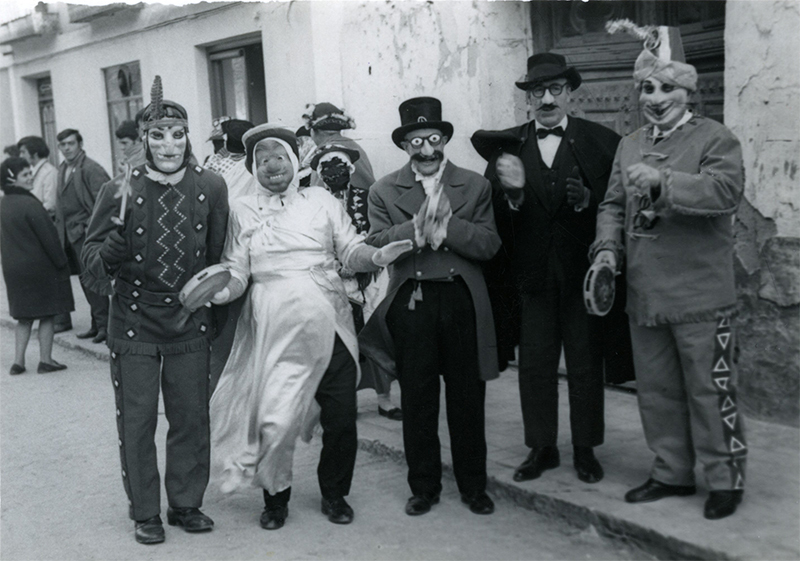 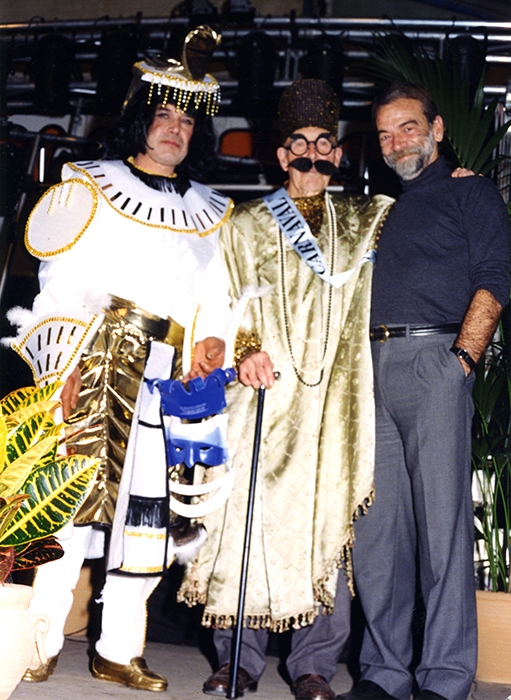 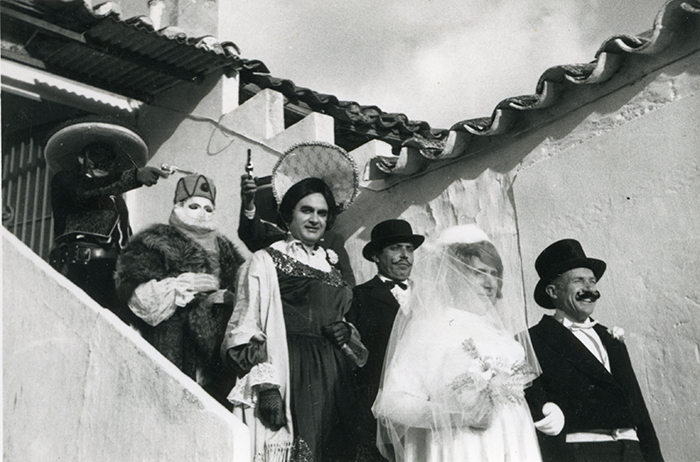 Teresa Sánchez Serrano, Consuelo Benito Trujillo, Francisco Ramos and Jose Gornés, will be the first Major Masks of the Carnival of Miguelturra in 1981 and he will be proclaimed the first King of Miguelturra Carnival in 1982, maintaining his carnival reign until 1994. 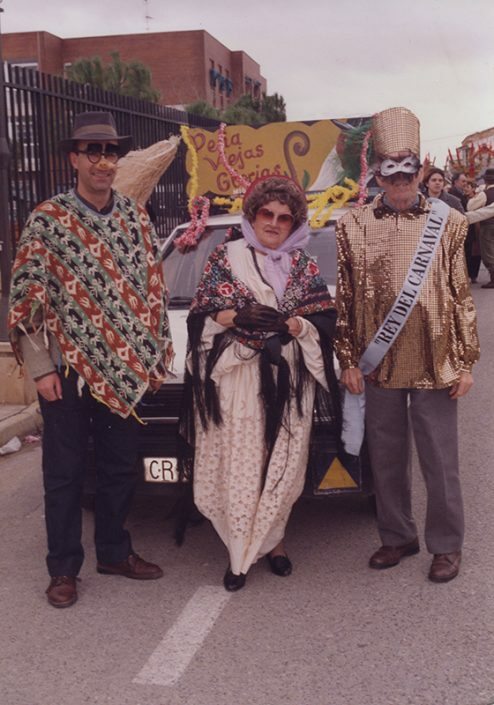 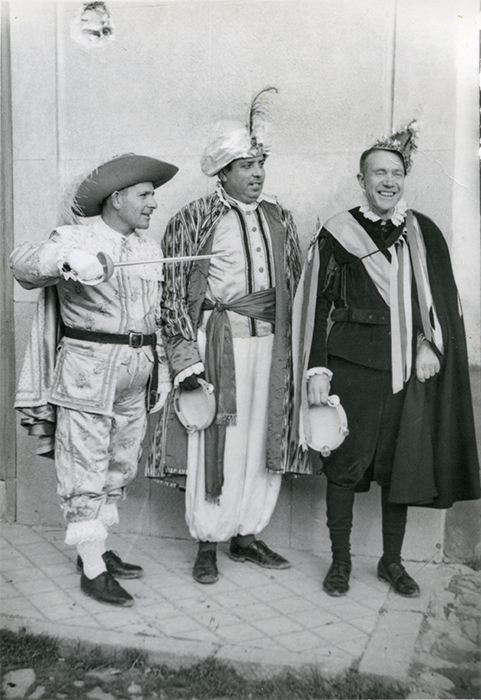 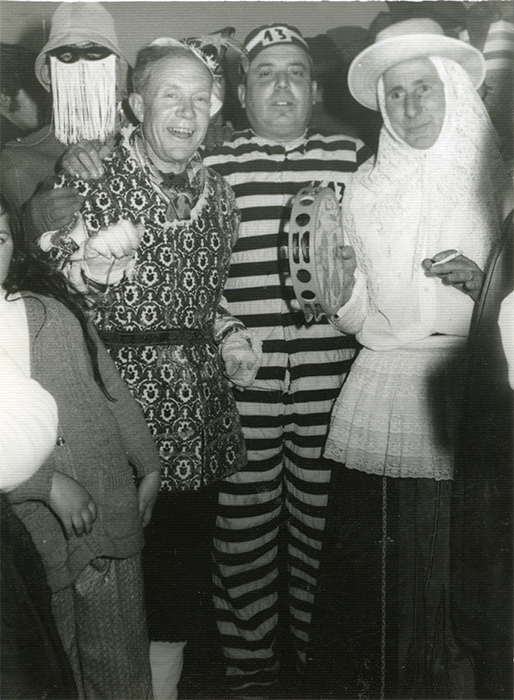 Our thanks to his wife Paca, his daughters Paqui and Pilar, for providing us with a wide photography and documentary museum which illustrates the history of Miguelturra Carnival. 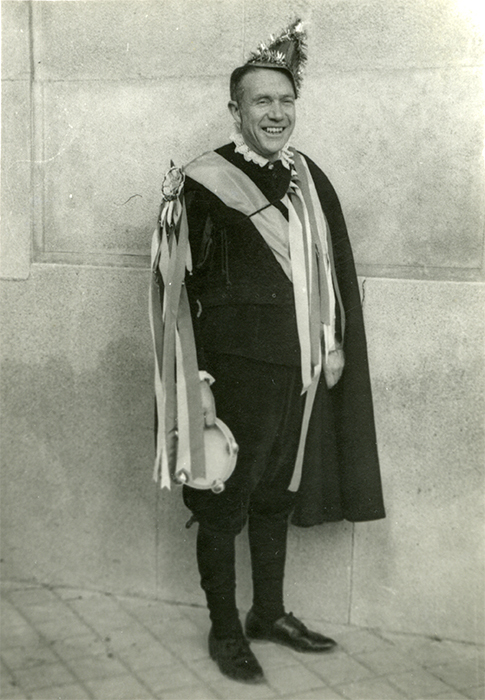 Amalio Segura González was born in Miguelturra in 1914 and like his predecessor José Gornés is one of the most active components of Peña ‘Viejas Glorias’ in which he holds different organizational positions. Amalio, during his reign has been a great ambassador of the carnival churriego, participating and collaborating in the organization of the different celebrated acts, as well as in the promotion of the same. 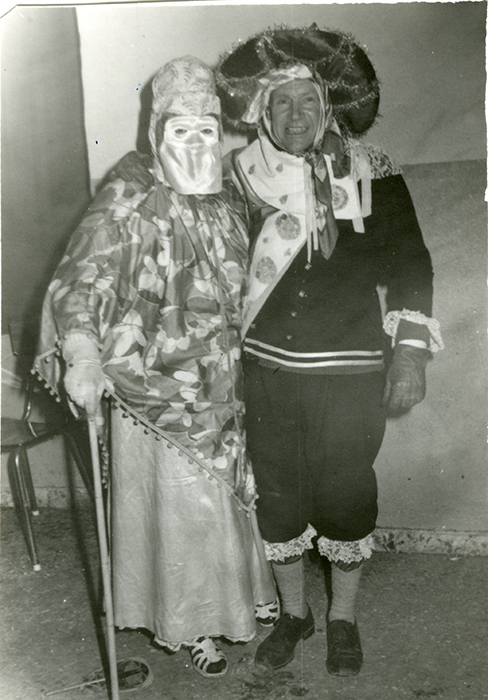 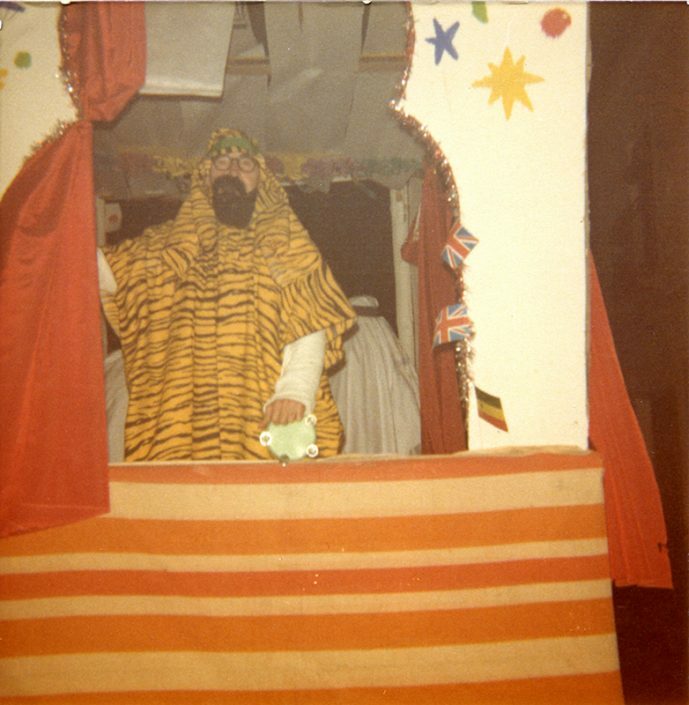 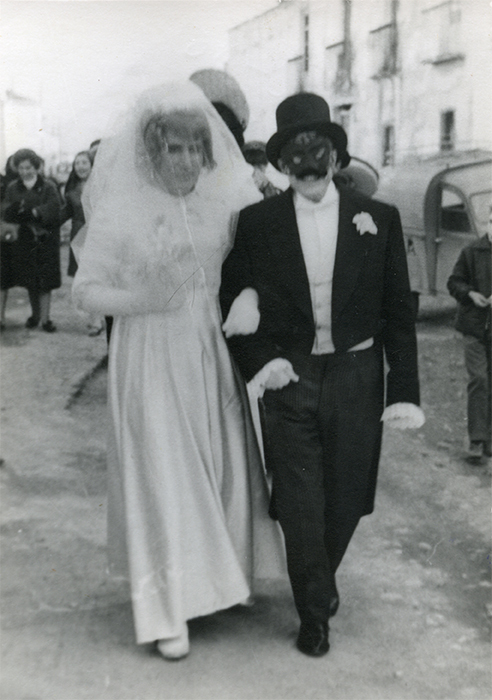 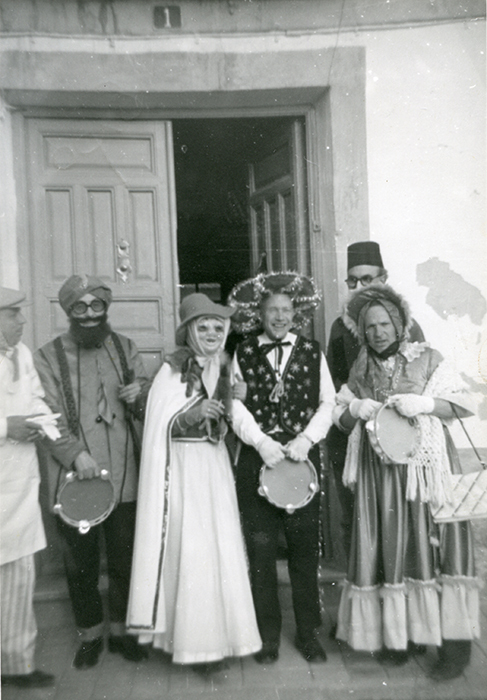 Teresa, his wife, was also a carnival lover and liked to wear costumes. 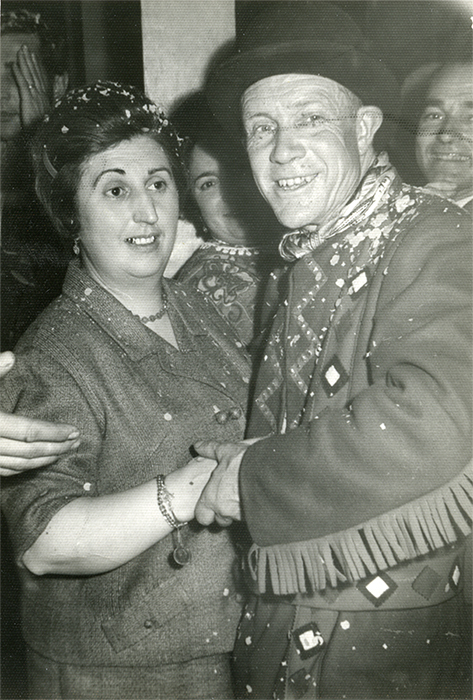 She was a great pillar of support during the reign of Amalio, accompanying him and being his main designer and dressmaker of the costumes they both wore during the carnival. 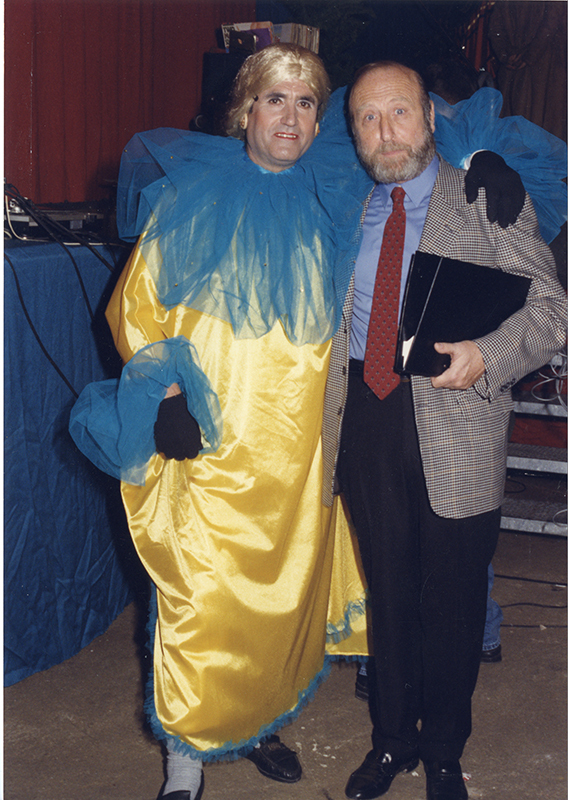 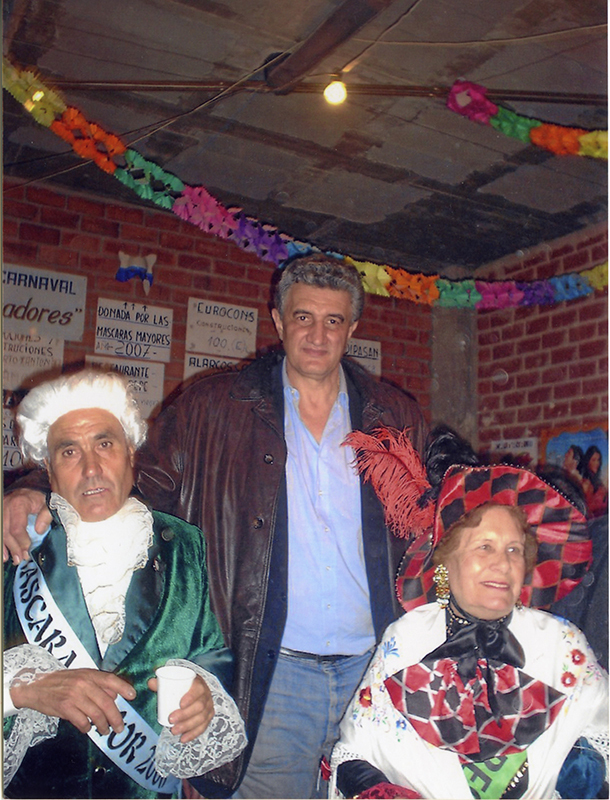 Books like “Crónicas de Cien Pueblos nº 6 Miguelturra” and “¿A que no me conoces?”, are two of the works in which he has intervened as documentalist of Miguelturra Carnival. 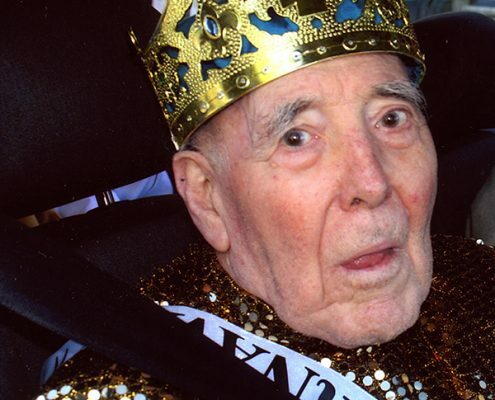 On September the 12th, 2012, at the age of 98, he will receive an homage from Housewives Association of Miguelturra, as one of the most beloved and oldest person in the town. 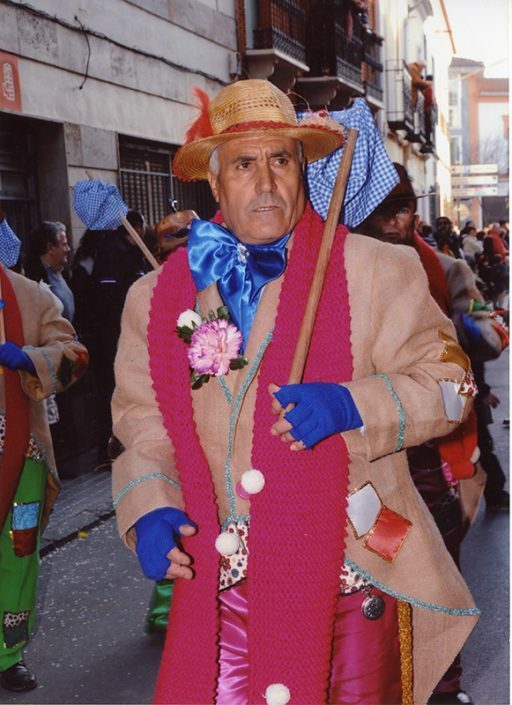 During his last carnival did not miss his appointment with the joy and the bustle, accompanied at all times by his daughter Mª Teresa and her son Luis, including the Carnival of 2013, fifteen days later will leave us, but we will always remember him. 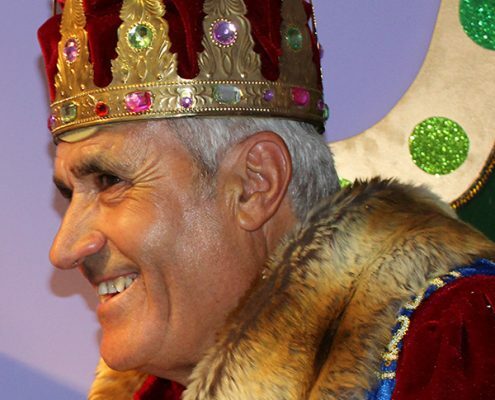 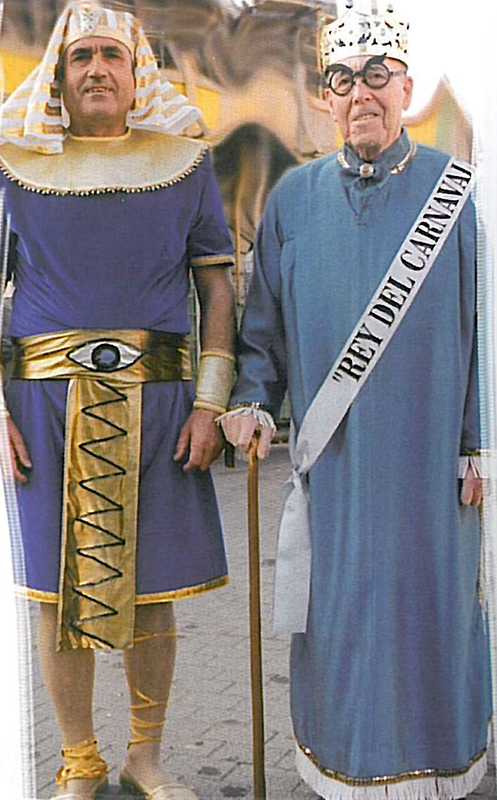 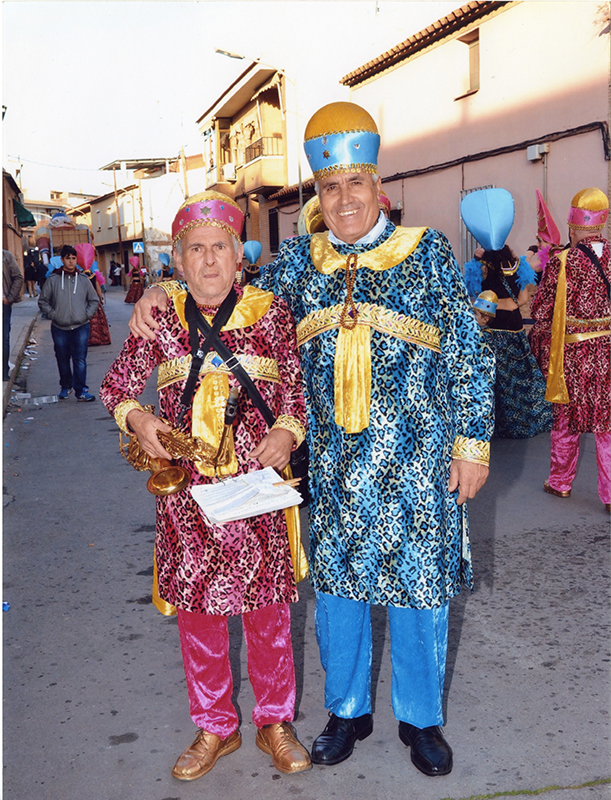 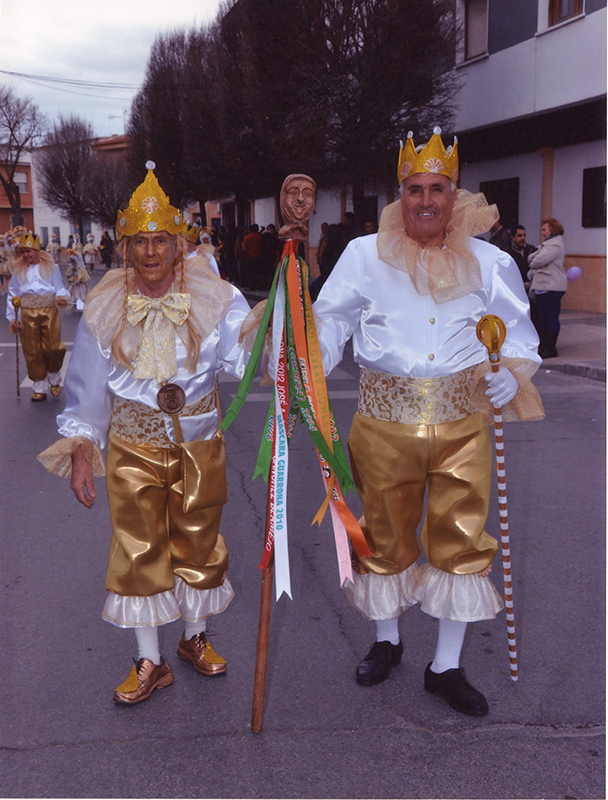 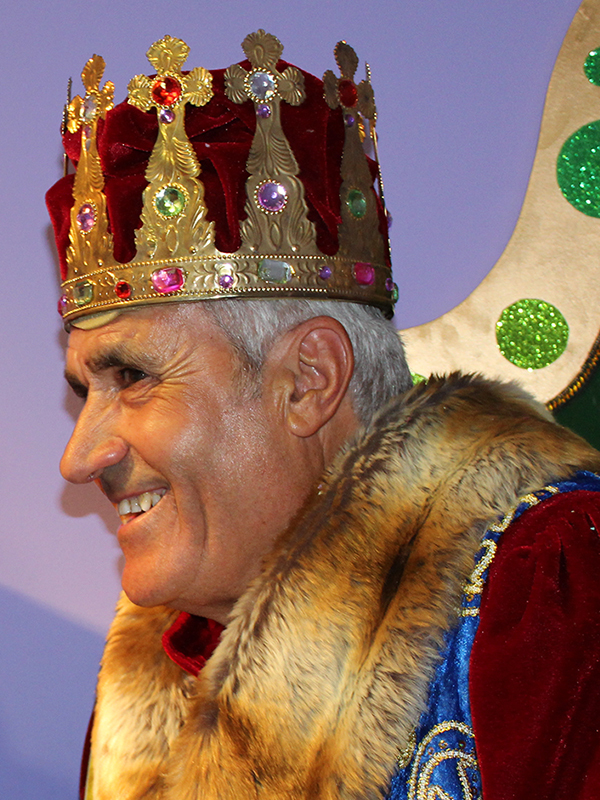 Born in Miguelturra in 1946, Serafín Delgado Martín, is currently King of Carnival since 2014 and Mayor Mask in 2006 along with Santa Muñoz López. He belongs to Peña ‘La Cabra’, of which he is the founder and the President from 1981 until today. 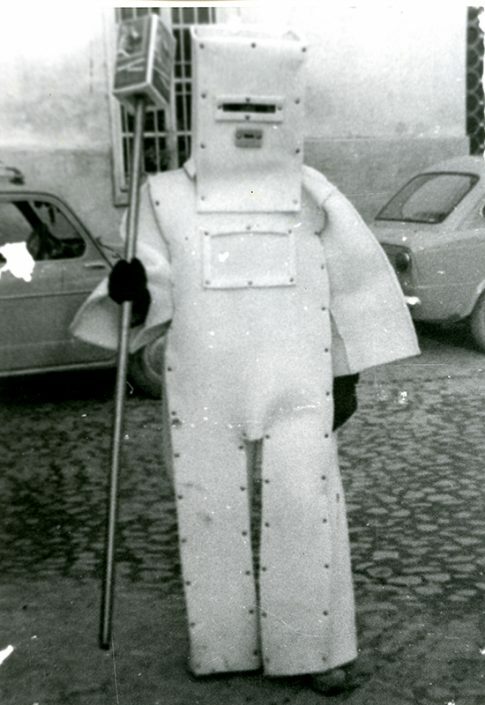 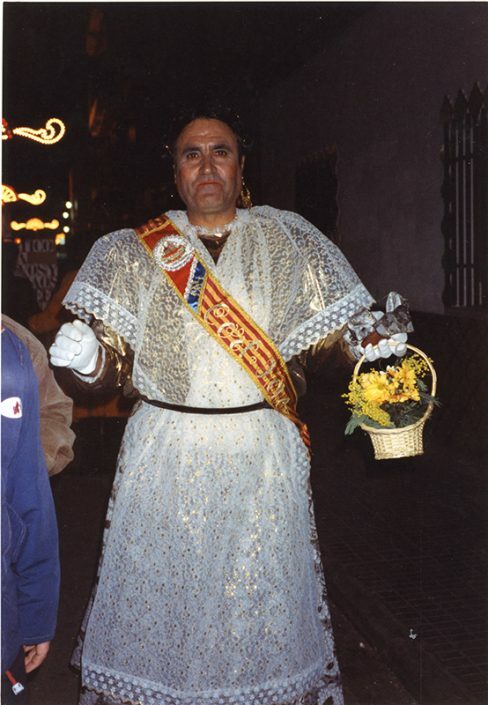 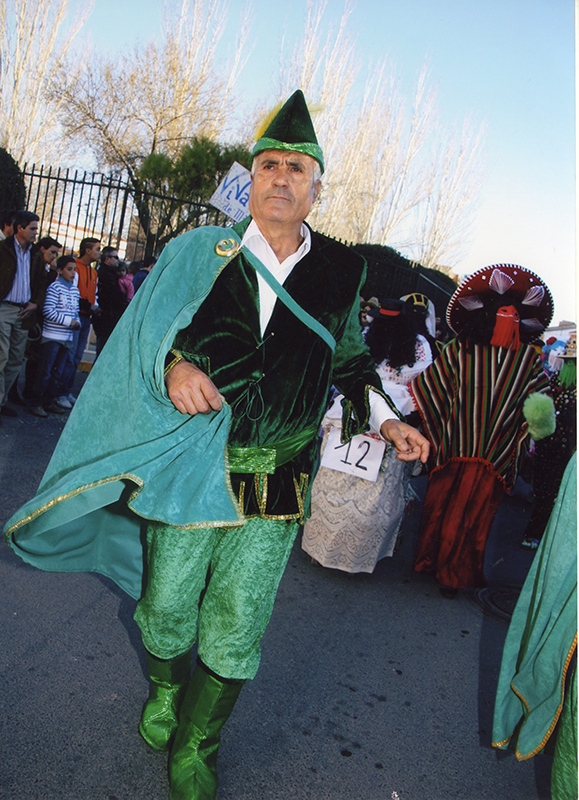 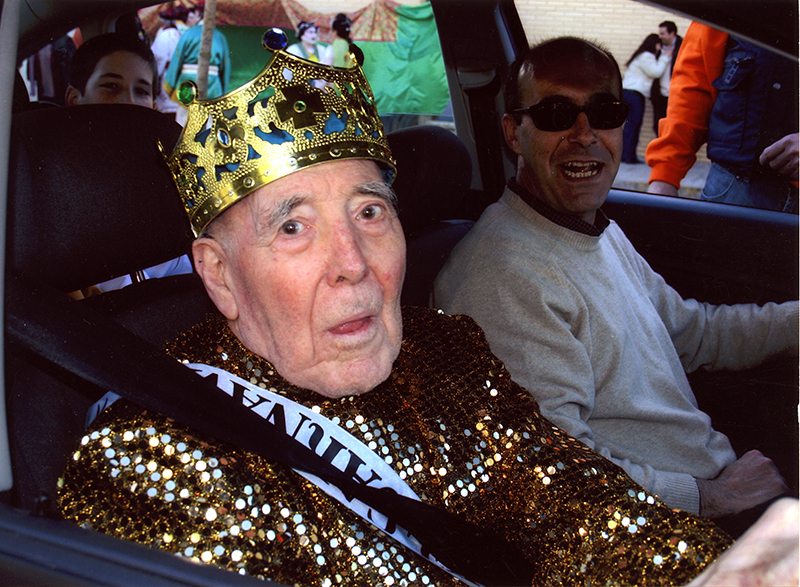 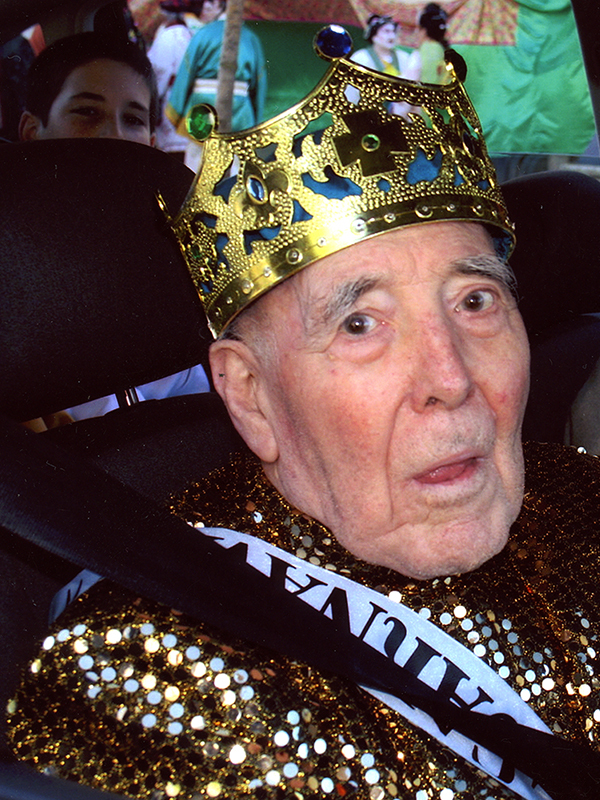 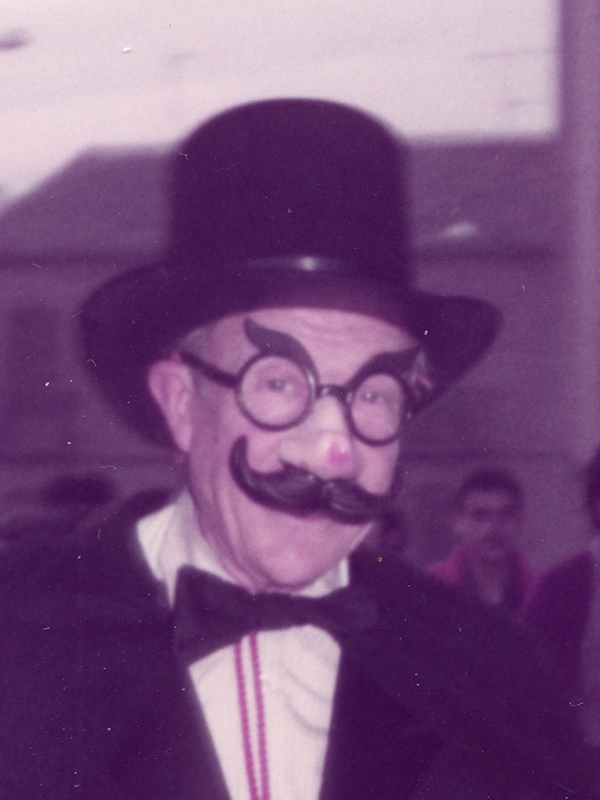 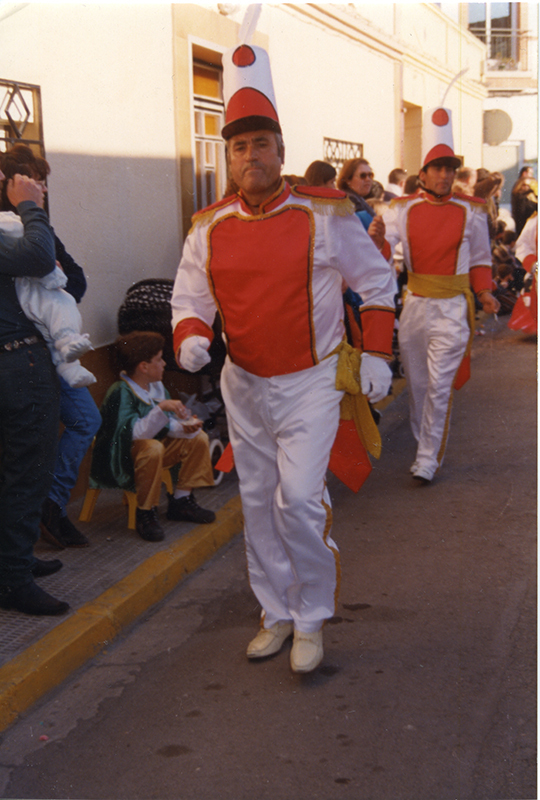 Member of the Peñas Association from 1981 and President of this one between 1994 and 2013, leaving the position to be proclaimed King of the Carnival, being his substituve Jose Hornero Gamito. 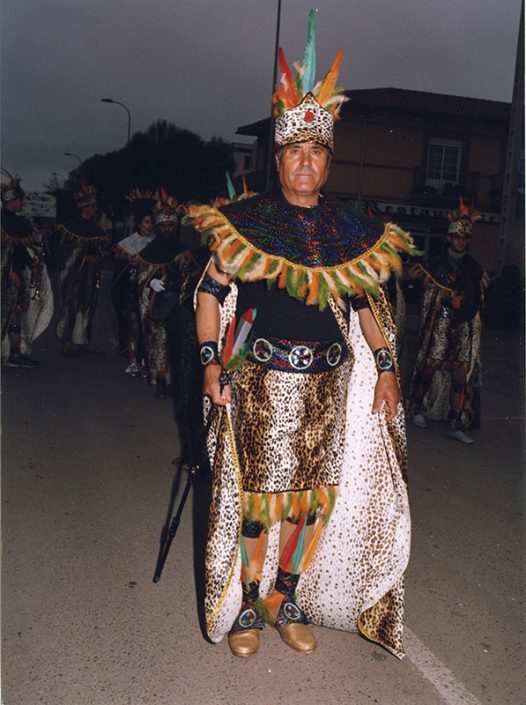 He is also a member of the Peña of Major Masks since 2006. 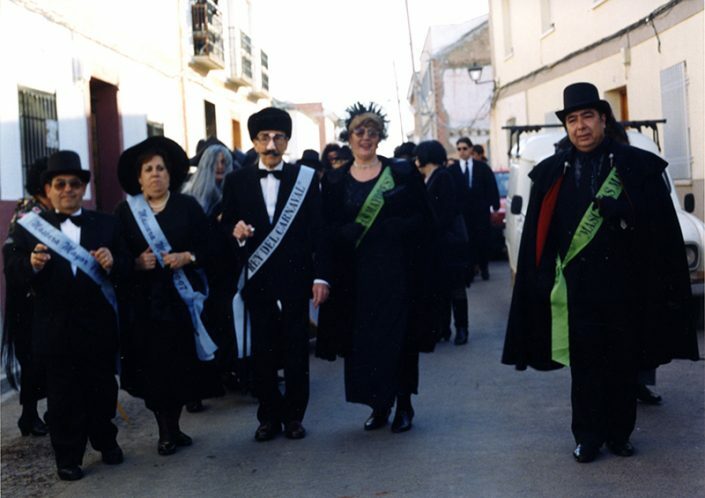 The greatest mourner of the funeral of the sardine, Serafín, is one of its precursors in 1982, weeping disconsolately its unfortunate loss, in the most famous funeral procession of Castilla-La Mancha. 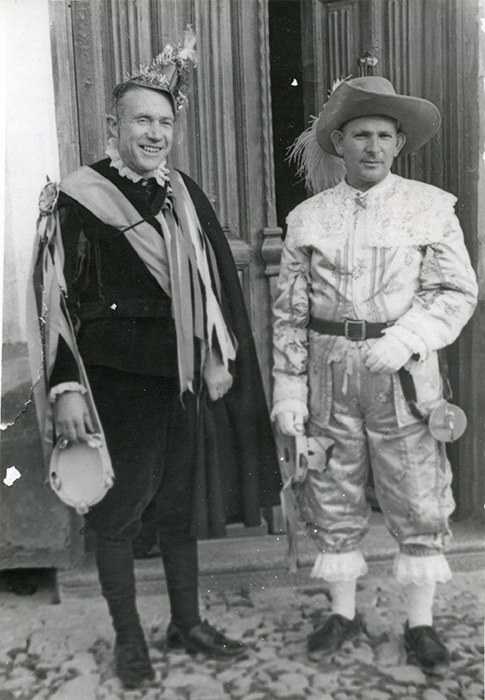 Serafin, is a great friend of our illustrious Barker of Honor, Guillermo Summers, designer of the current logotype of Peña ‘La Cabra’. 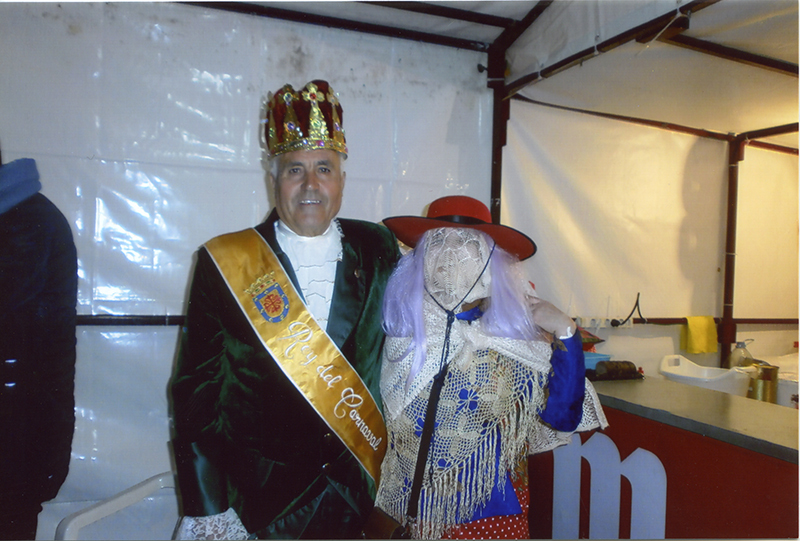 His wife, Vicenta, is his greatest support carnavalero, in charge of his costumes and makeup, along with his daughters Estrella, Prado and Eva design and make the costumes he wears during the ten days of the churriego carnival.